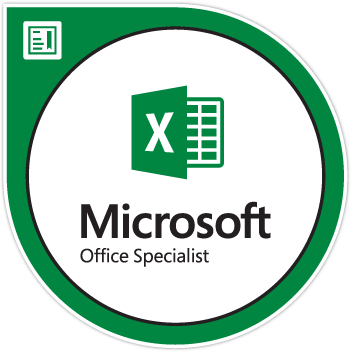 Microsoft Excel 2016 Certification exam earners have a fundamental understanding of Excel 2016 and the ability to complete tasks independently. Earners have proven they can create and edit a workbook with multiple sheets, and use graphic elements to represent data visually including professional-looking budgets, financial statements, performance charts, and data-entry logs. Excel earners include students, business professionals, clerical workers, bookkeepers, educators, and others.